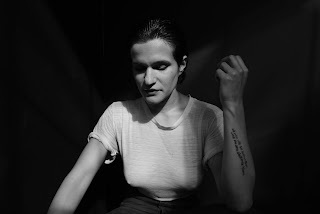 If It's Too Loud...: Adrianne Lenker - "cradle"
We've both been huge fans of both of Big Thief's albums, so we're pretty excited that Adrianne Lenker is proving to be absurdly prolific and is releasing a solo album this year. "cradle" is the first single off of her solo album, and it's what I had expected in the best possible way. Big Thief's music isn't exactly hard rock, but it's definitely rock with some fantastic guitar flurries. "cradle" is decidedly more quiet and introspective. Lenker's vocals are barely a whisper above a barely plucked guitar. Harmonizing background vocalization fills out the song to give it not quite a lush sound, but definitely a fuller sound. You can listen to "cradle" below. abysskiss, the new solo album from Adrianne Lenker, will be out October 5 on Saddle Creek. You can pre-order your copy here. For more on Adrianne Lenker, check out her website. The Stubborn Lovers - "Drivin' 22"
The Pull of Autumn - "Laurasong"
Cypress Hill - "Band of Gypsies"
J. Allen - "Oh Oblivion"
Caroline Rose Announces Tour with And the Kids! Kristin Hersh - "No Shade in Shadow"
Thee MVPs - "American Dreamin'"
Kings of Spade - "Way She Goes"
Jack Drag - "Hope Revisited"
The Goon Sax - "Make Time 4 Love"
J Mascis - "See You At the Movies"
Weakened Friends - "Blue Again"
Callow - "Always About the Ones Who Have It All"
Summer Magic - "A Certain Little Chord"
Oh Pep! - "What's the Deal with David?"